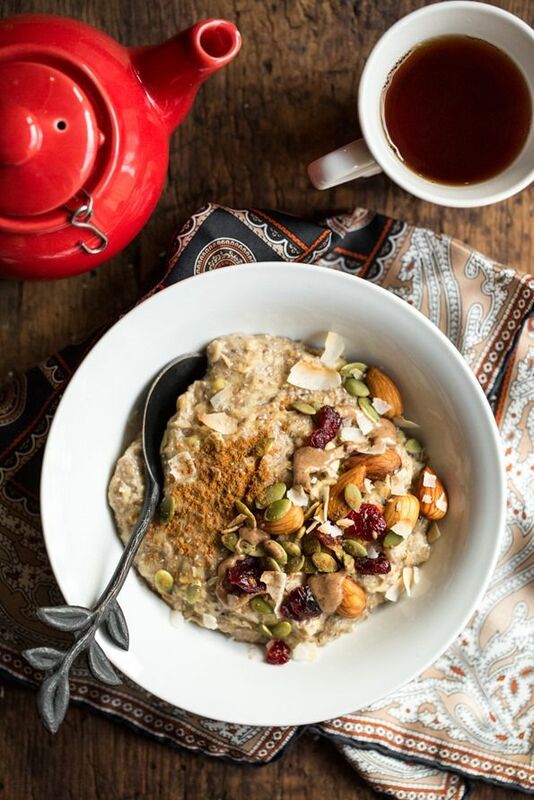 Cold mornings + hot, steamy bowls of oatmeal = cozy breakfast perfection. 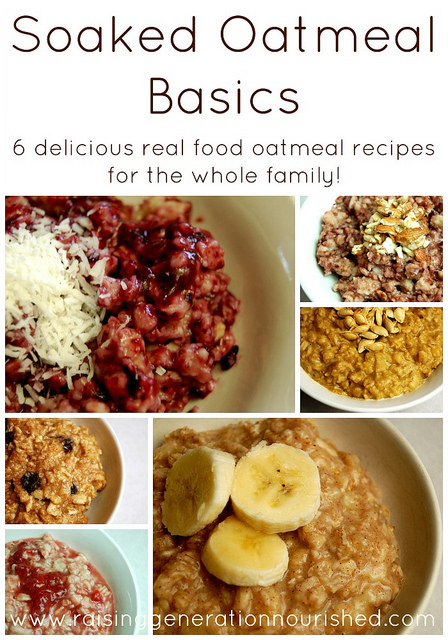 Oatmeal is one of those beautifully simple foods you just can't go wrong with. Frugal as frugal can be, oats are extremely rich in vitamins and nutrients — which can only be unlocked with a good soaking. 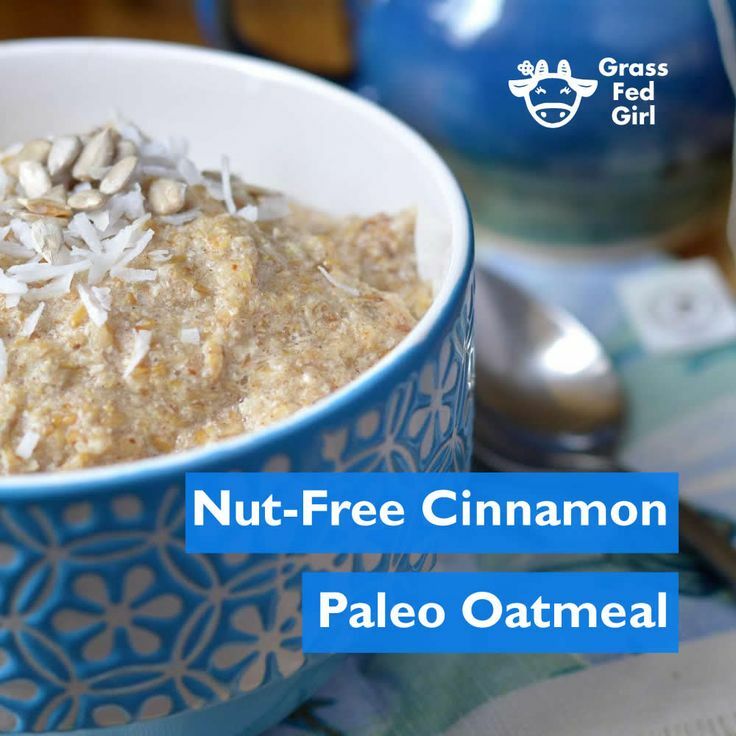 Oats help maintain stable blood sugar levels and provide lasting energy for your day, especially when combined with a nourishing fat like butter. They're high in soluble fiber — the kind that lowers bad cholesterol. And they're high in minerals like magnesium, zinc, and phosphorus. 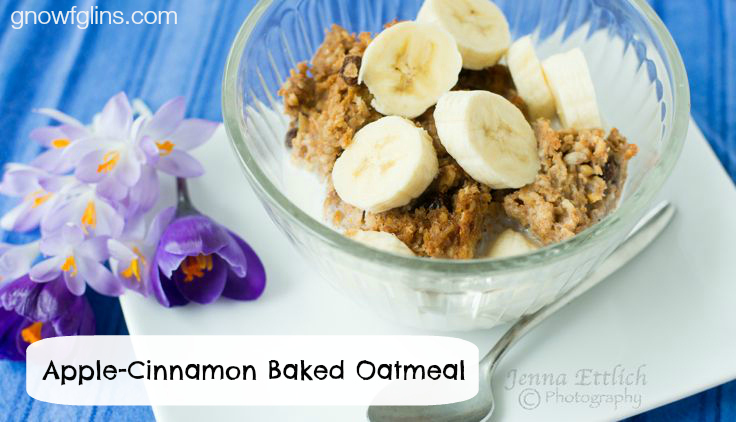 Here are 33 ways you can get all the benefits of oatmeal! Oh, my, these flavors are heaven. This dish is pure comfort and nourishment in the morning (or for a snack). Via TraditionalCookingSchool.com. It's a great idea to give your oats a good, long soaking before eating them to unlock all the nutrition they contain and reduce anti-nutrients that make digestion difficult. Here's how! Via lovelovething.com. Did you know that flax and chia seeds, pecans, molasses, and of course, oats are all lactogenic foods — meaning they help boost milk production? 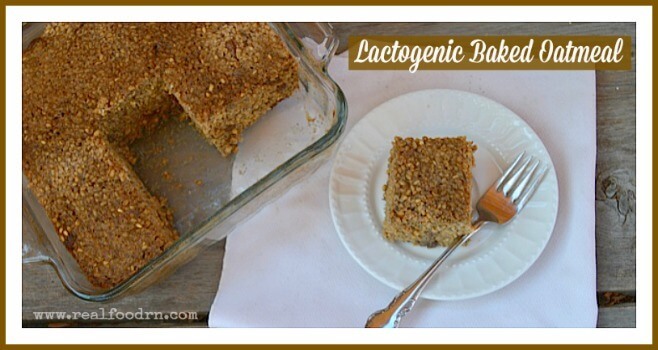 If you're breastfeeding, you're going to want to save this recipe! Via realfoodrn.com. 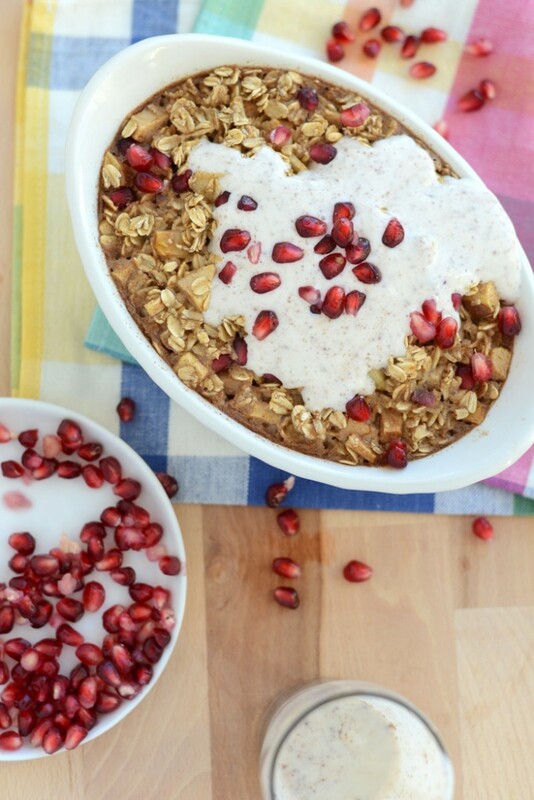 This seasonal baked oatmeal takes a few minutes to make the night before. Add a few more ingredients in the morning, and you're good to go! Savor this one with a lovely pumpkin spice latte or chai tea. Via nourishingsimplicity.org. It's oatmeal, all right, but with lots of apples and caramel-y sweetness, plus your slow cooker means this is an easy, hands-off breakfast. Via nourishingjoy.com. 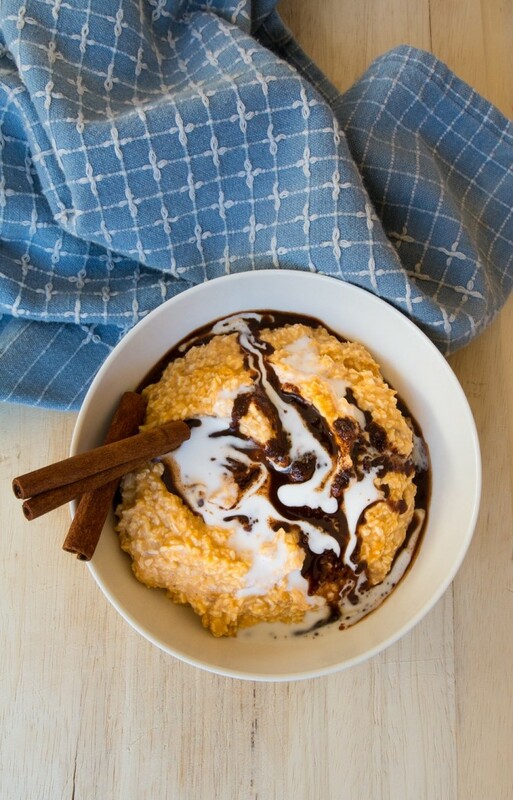 Your morning blah bowl of oatmeal just needs some maple-y, cinnamon-y, crunchy goodness to perk it up! Via thenourishinghome.com. 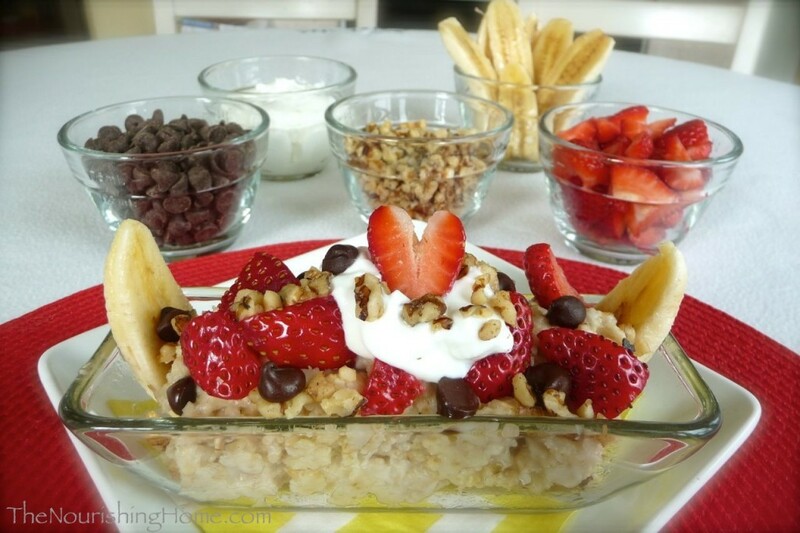 A bowl of oatmeal morphs into a banana split?! Ummm, yes please! Via thenourishinghome.com. This nourishing dish is meant to be enjoyed in all seasons — and comes together in a flash. Via recipestonourish.com. 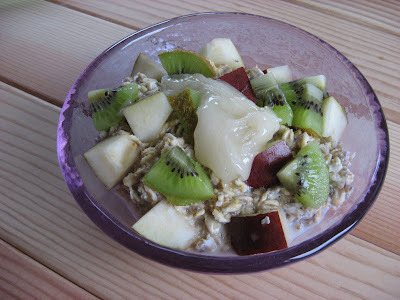 A sugar-free oatmeal sweetened with stevia means no blood sugar spikes after breakfast, and you won't miss the sugar! Via TraditionalCookingSchool.com. We can eat oatmeal year-round, but I have to say that baked oatmeal definitely crosses seasons. You can eat it hot or cold, as breakfast, snack or lunch — and with eggs and milk baked in, you’ve got a high-quality protein boost. Via TraditionalCookingSchool.com. An abundance of vitamins, nutrients, and minerals awaits you in this bowl of oatmeal that's packed with superfoods! Via breakfastcriminals.com. 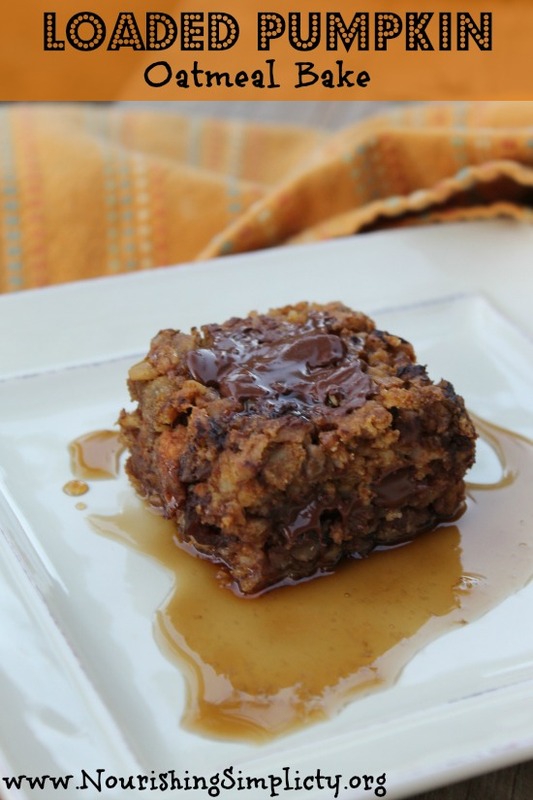 Gear up for a cold day with a warm and comforting pumpkin and maple baked oatmeal! Via thenourishinggourmet.com. 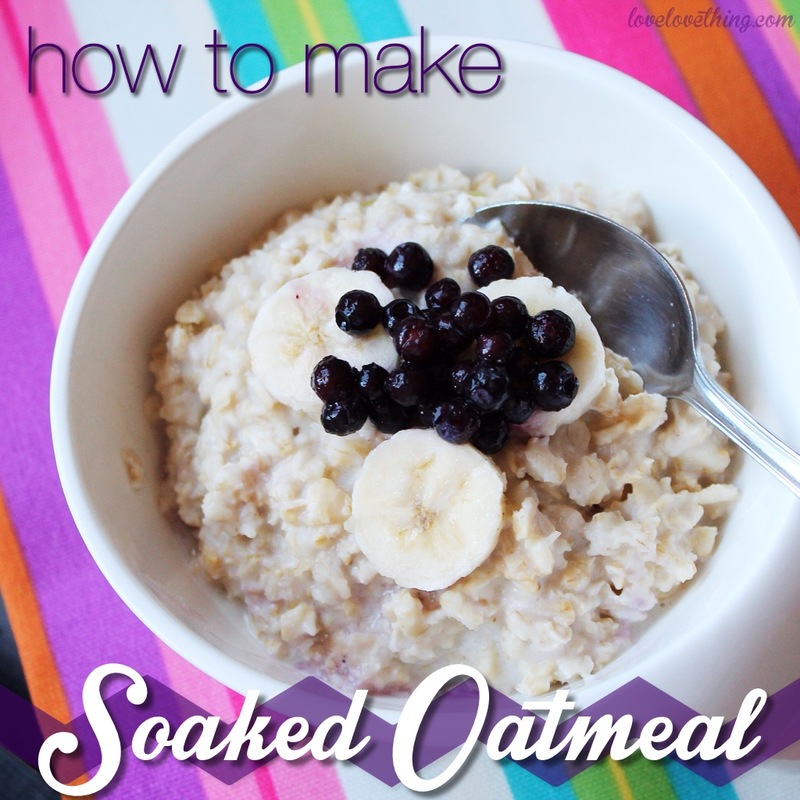 Using whatever in-season fruits or berries you have means you can enjoy this soaked oat recipe all year round.Via thischickcooks.net. An oatmeal that's not sweet?! Whoever heard of such? 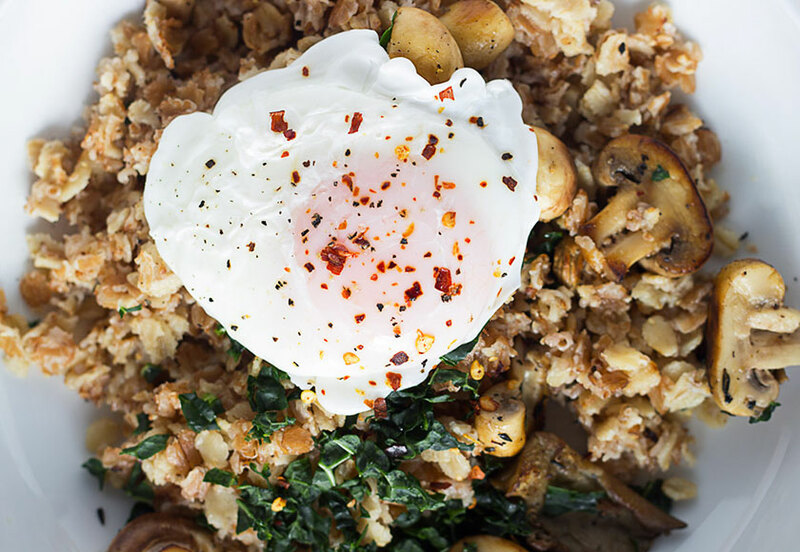 A hearty, savory oatmeal changes the definition of oatmeal forever. Via sprinkleofgreen.com. Pomegranate seeds give a burst of color and antioxidants while the yogurt leche sauce adds probiotics. 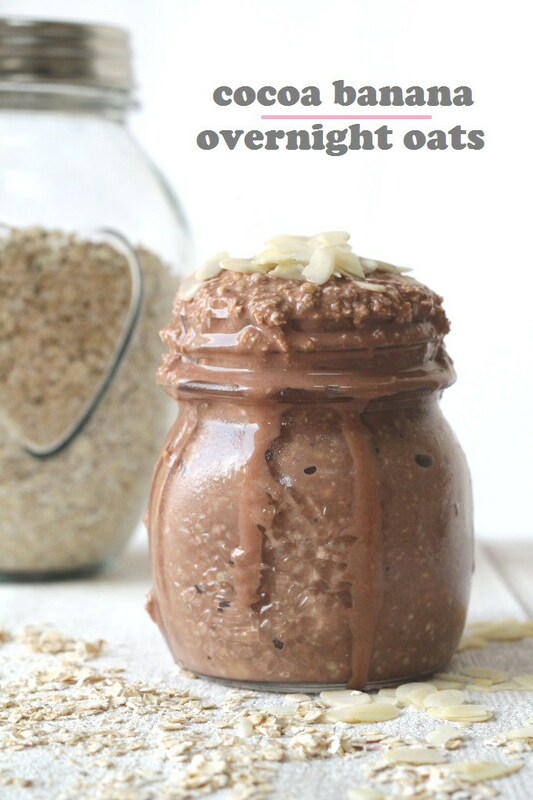 Soak your oats the night before to reduce phytic acid and cooking time. Via fitfoodiefinds.com. A chocolate and coconut oatmeal bake makes it feel like you're having an Almond Joy for breakfast — just way more satisfying. Via kimscravings.com. Start soaking your oatmeal and get six more oatmeal recipes — that's a new oatmeal for nearly every day of the week. Via raisinggenerationnourished.com. 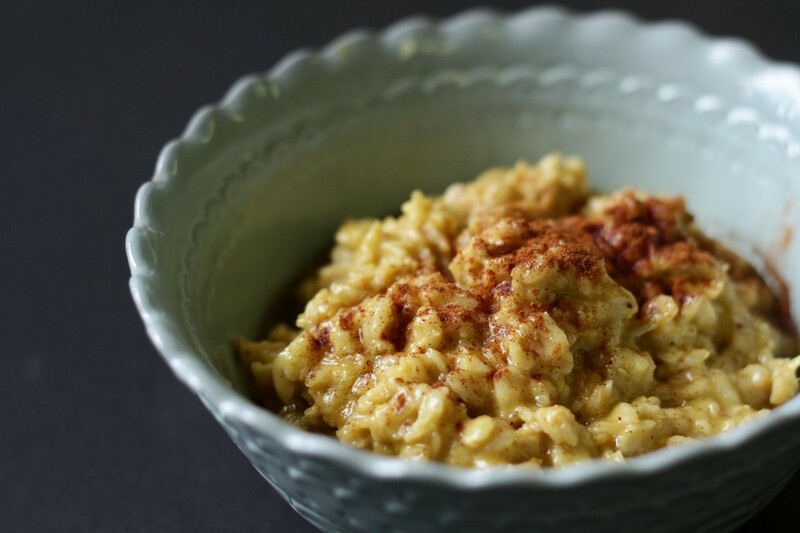 Blending the oats into a flour before making this oatmeal makes it feel more like porridge. And you don't want to skip out on the cream cheese frosting. 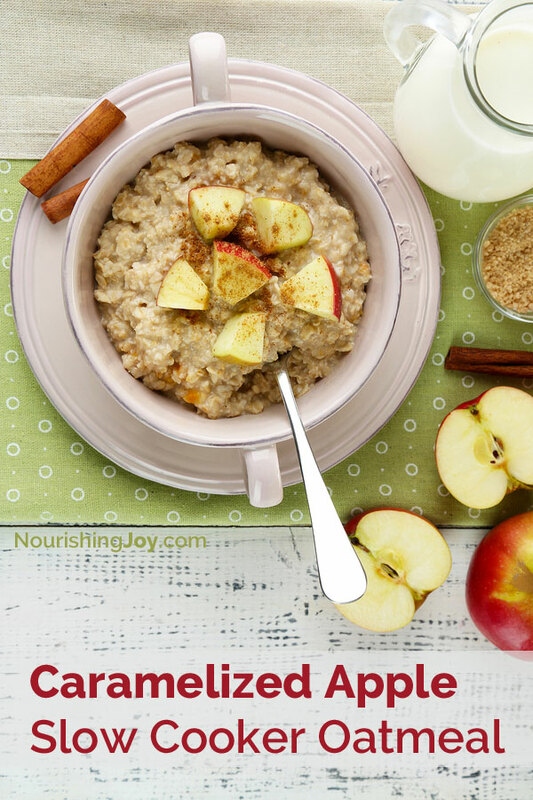 I can personally vouch for this recipe — it's the BEST oatmeal I've ever had. Via recipestonourish.com. I like the way this lady thinks — oatmeal is the perfect vehicle for adding more nourishing foods to your diet, including butter, raw cream, berries, and egg yolks! 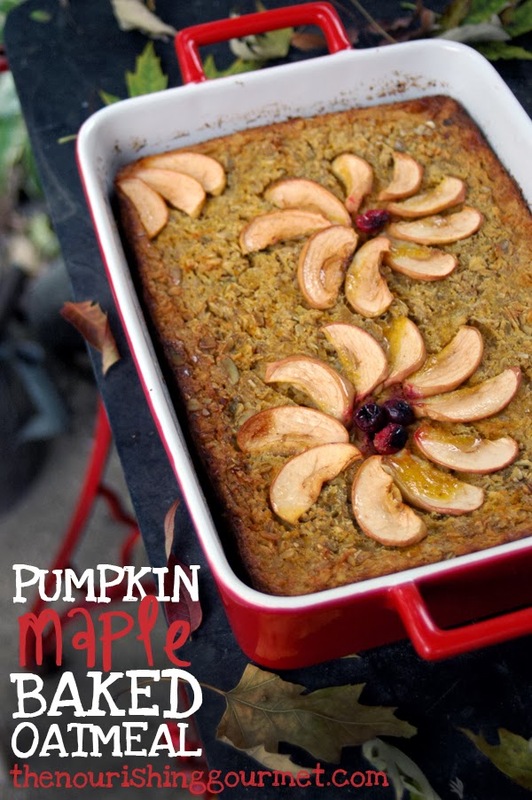 Via realfoodfamily.com. 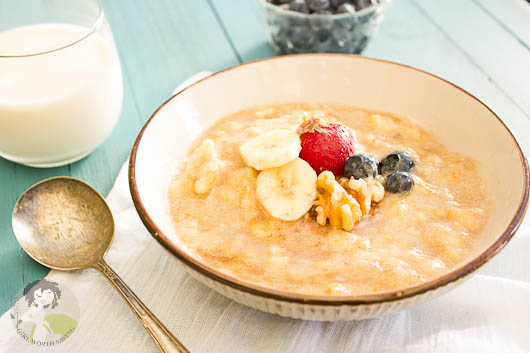 You won't miss the oats in this creamy, grain-free banana oatmeal. Via agirlworthsaving.net. 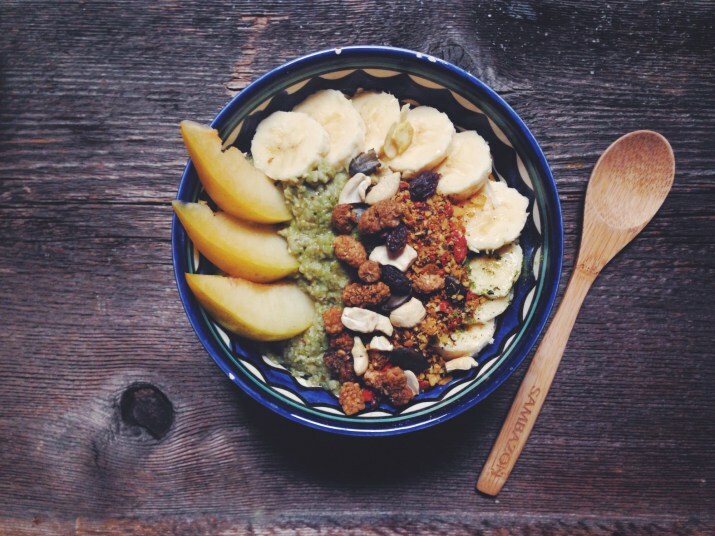 Have fun with your oatmeal by getting creative with the toppings! 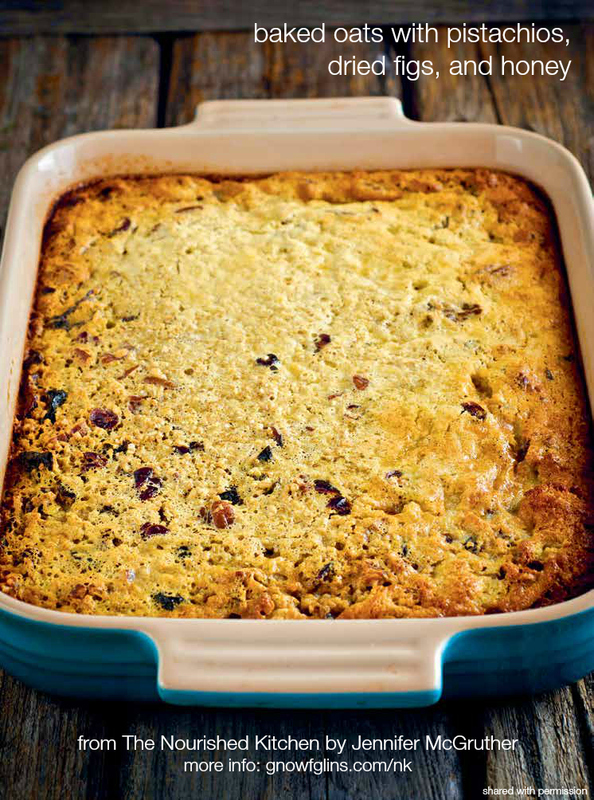 Dried cranberries or cherries, pumpkin seeds, toasted coconut — the sky's the limit! Via ohsheglows.com. You won't believe how fast you can make this allergy-friendly, grain-free oatmeal. No overnight soaking or prep required — just combine the ingredients, blend, and heat! Via grassfedgirl.com. There's no more excuses for bland and boring breakfast … and there's no reason to not have chocolate for breakfast! Via myfussyeater.com. 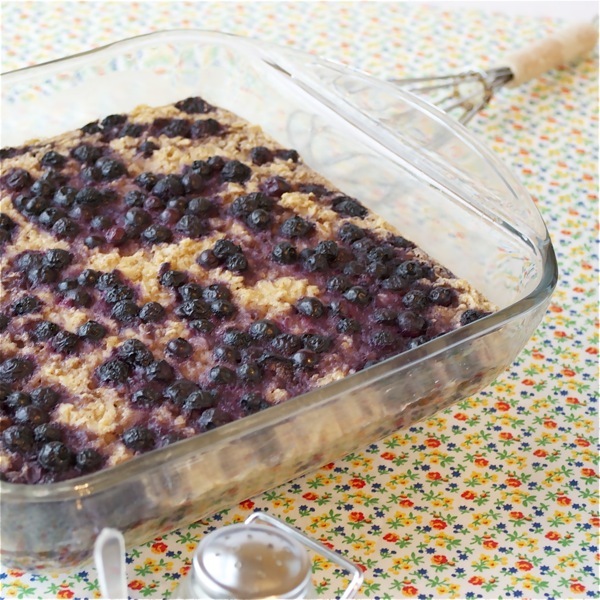 This lovely, layered breakfast is not only nourishing, it's also portable! Via theglowingfridge.com. 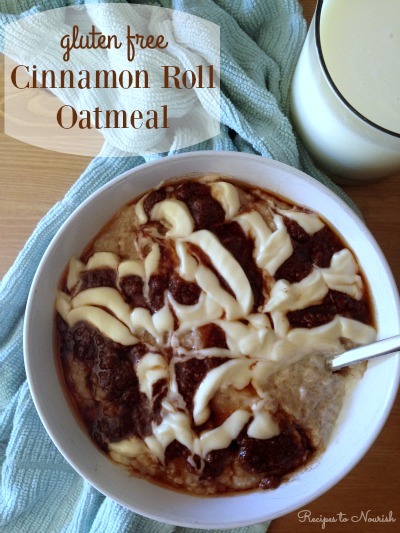 Here's the grain-free, Paleo version of the above Cinnamon Roll Oatmeal! Now, no one has to miss out! Via grokgrub.com. 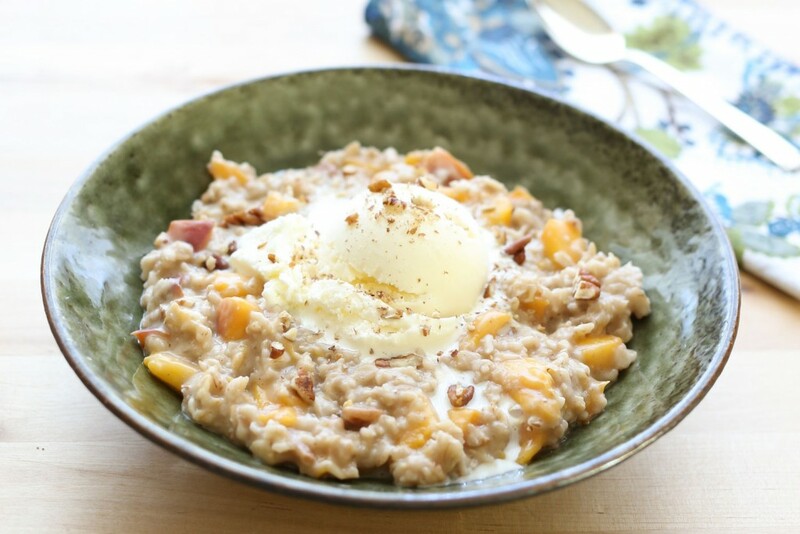 A simple, slow cooker steel cut oatmeal that's a blank canvas for your favorite toppings. Via realfoodkosher.com. Stirring in peaches and topping oatmeal with ice cream?! This may change your life forever. Via barefeetinthekitchen.com. 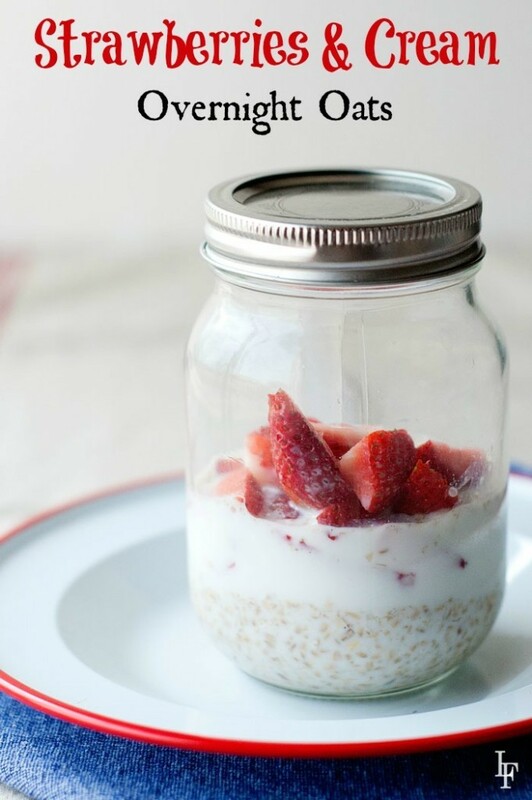 Enjoy hot or cold, these bright strawberries and cream oatmeal jars are fresh and delicious. Via laurafuentes.com. 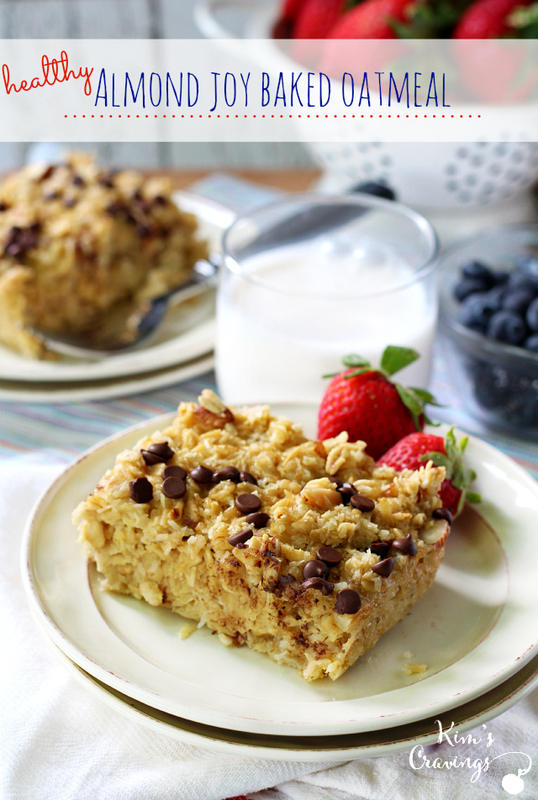 Simple breakfasts are always a win in the kitchen, and an oatmeal bake fits the bill! 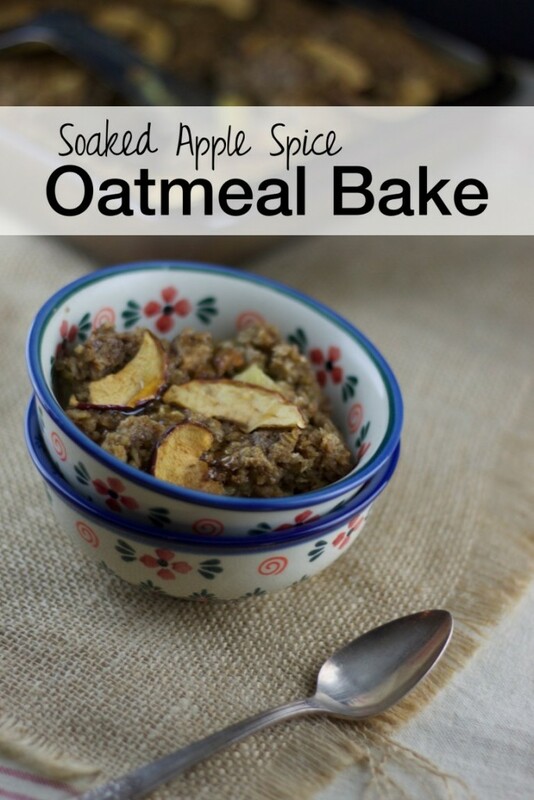 Hearty oats, fresh apples, warm spices, baked till golden brown — this is the perfect breakfast on a cold winter morning. Via TraditionalCookingSchool.com. *Many of these beautiful recipes do not give instructions for soaking oats prior to cooking to reduce anti-nutrients and make them more digestible. 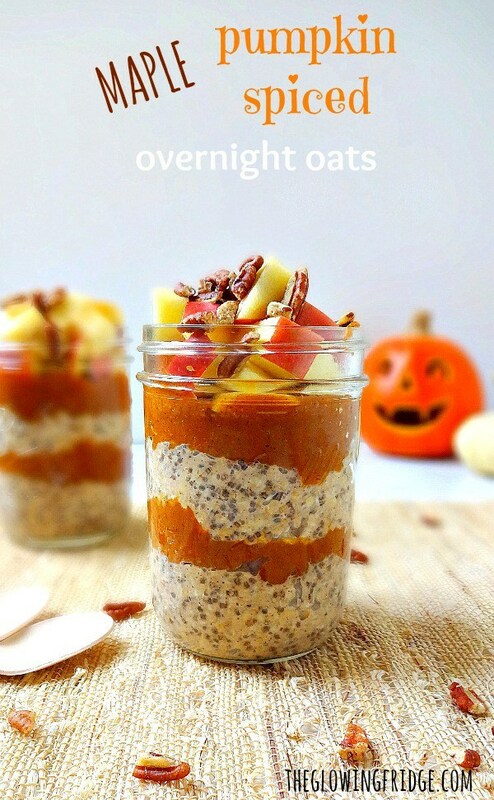 To get the most out of your bowl of oatmeal, please soak your oats for at least 12 hours, then proceed with these unique and nourishing oatmeal recipes! 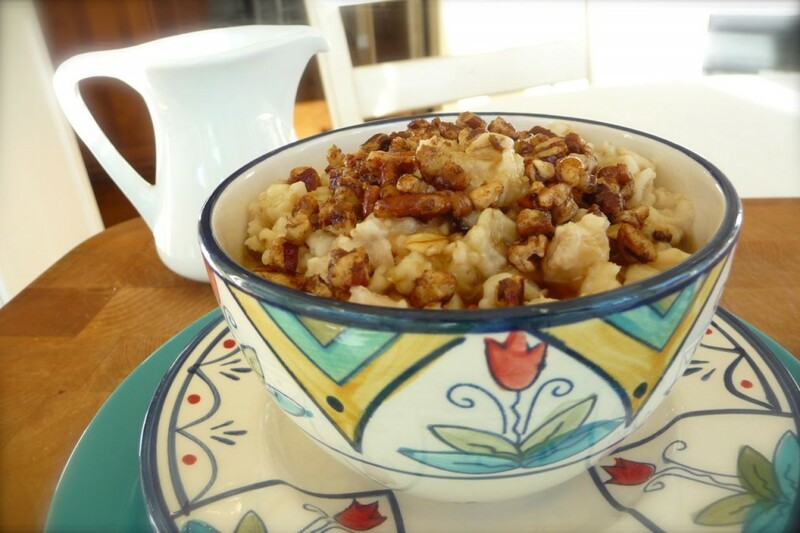 Do you love a bowl of hot oatmeal (or n'oatmeal) on a chilly morning? 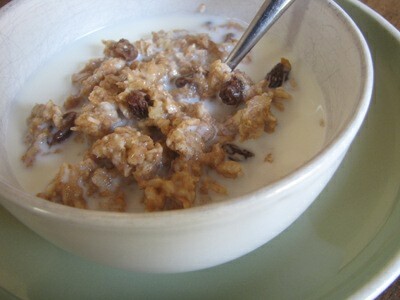 We LOVE oatmeal in our house, I prepare steel cut oats every weekend. These recipes look delicious! Thank you so much for sharing them. 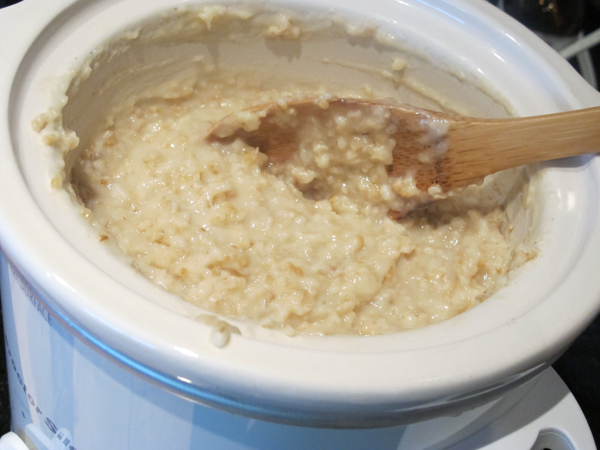 I do our oats in the rice cooker – soak overnight and in the morning press Cook. Mix in Cinnamon, brown sugar, butter, and walnuts and serve with cream. I like oats,or soaked buckwheat,or soaked kamut…with olive oil,sea salt and garlic,and sometimes parsley!